Do you want to run a track event, but don't know how to rent the track or where to start? Have you participated in numerous events with various clubs, and feel like there's something missing, or that it can be done better or more efficiently? 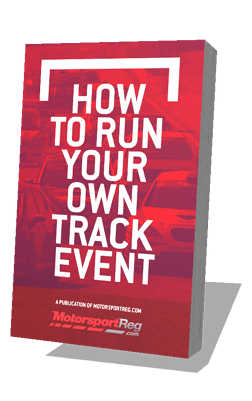 Our How to Run Your Own Track Event eBook walks you through all of the details of running a track event. You don't have to be a national organization, especially rich or well-connected. This eBook gives you a solid foundation on which to build and run a successful track event. So stop thinking about it, and do it! Grab your free eBook by submitting the form on the right, and be sure to invite us to your event!